Welcome to the Medicare Bulk Bill (BB) claims tutorial. Bulk Billing means that the practice is only charging patients the amount covered under the Medicare Benefits Scheme (MBS), with no additional fees on top. Practices bulk bill directly to Medicare and rebate claims are paid directly to the practice. Patients must have a valid Medicare card in order to be eligible to be treated in a bulk billing practice, and the claimed service is recorded against their Medicare record. If a patient does not have a Medicare card, they will have to pay the full amount for the services received. The practice will also need to have configured their Medicare PKI certificates in their MediRecords account, and providers will have successfully completed the online banking form to be eligible for billing at their chosen practice. *NOTE: This process strictly relates to invoices and payments where the services are being bulk billed to Medicare. 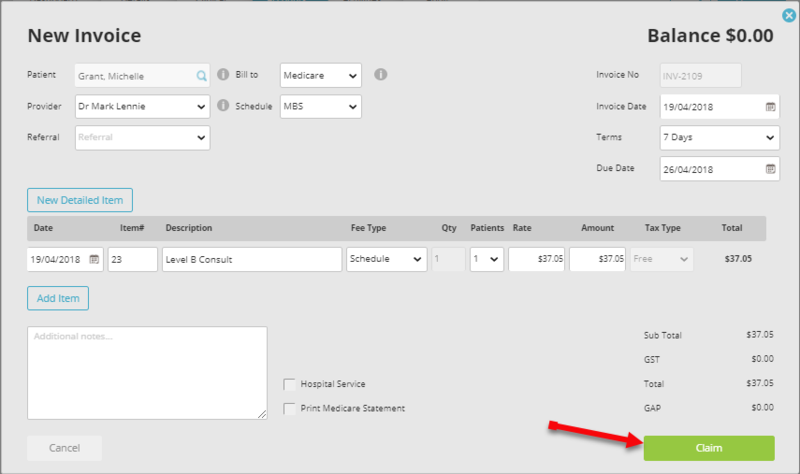 The BB invoice and claim example will be produced from the Account tab in a patients record. 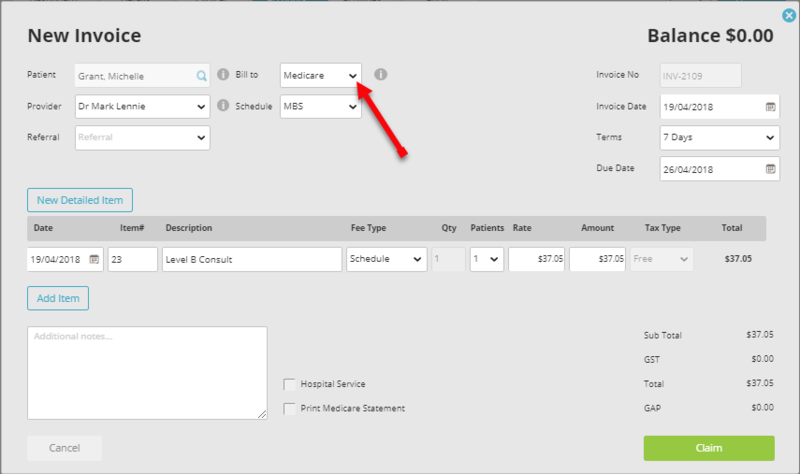 To process an invoice using Bulk Billing, navigate to the Accounts section of the patient record, and then click Invoices. *NOTE: The second option New Multi-Patient Invoice will only appear if you are currently signed in as a user with Subscription Type: Specialist. Complete the invoice with all the required details, and make sure that the Bill To field is set to Medicare. The Total is the total amount being billed to the Medicare, and the GAP amount should be zero. Once you have completed the invoice form, click Claim to submit the claim to Medicare. From here you can chose to submit a single invoice for claim or chose to send invoices in batch as part of the one claim. *NOTE: The Status of the claim, along with information around Amount claimed, total Paid, Outstanding amount, and number of Days the claim has been sitting in Progress are also available from this screen. *NOTE: If payment report was successfully retrieved, the claim will move to Claims Completed. You've completed another MediRecords Tutorial. You will now be able to successfully create Medicare Bulk Bill invoices, submit, and monitor claims through to the Claims Completed stage. If this is not what you're looking for, head back to our knowledge base and search for another article.